Communication at work is sometimes a minefield — it’s difficult to know where’s safe to tread. When I first started work, I wasn’t quite sure how to behave around my boss or coworkers, or how to get to know them when we mostly interacted via formal emails. And as most of us would know, it doesn’t get easier even as we get more experienced; every workplace has a different culture, and adapting to it is a delicate process. That’s where Crystal comes in. 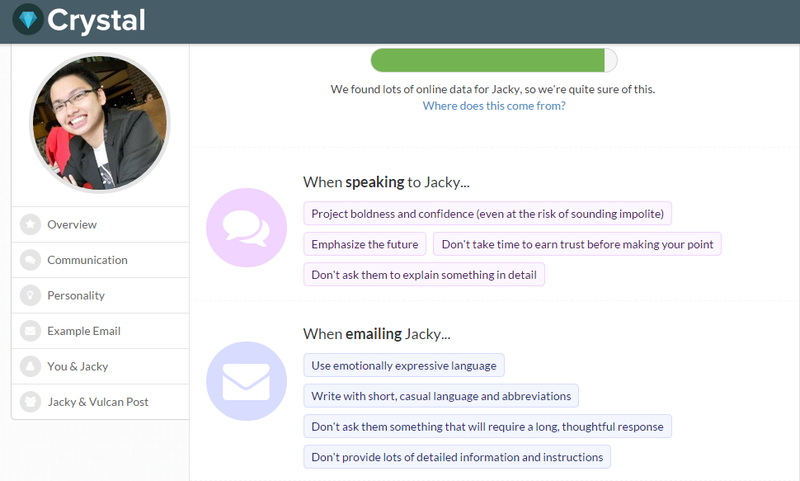 Through personality detection technology, Crystal can provide free insights into what you’ve always wanted to know about your friends or colleagues: their personalities in a nutshell, and exactly how to speak to, email, and work with them. Following that, you can also get an analysis of how well you would work with, say, a particular coworker of yours, or the likely relationship dynamics between you and your company culture. 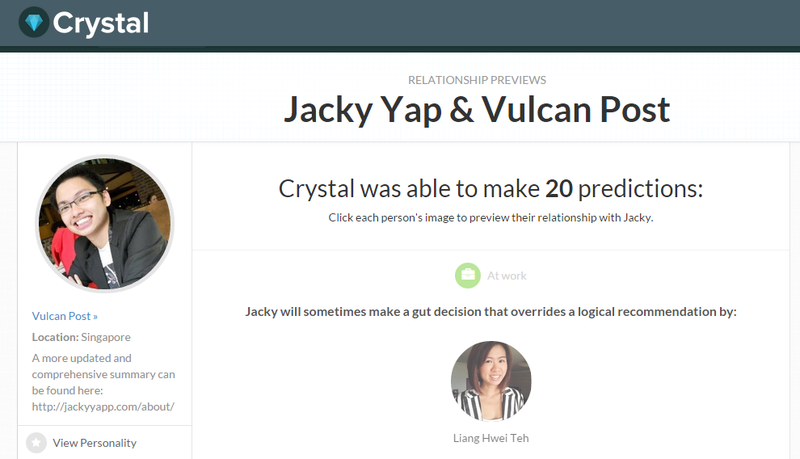 The Vulcan Post team tried Crystal out, and we can vouch for the fact that it’s eerily accurate. By taking the guesswork (and stress) out of interacting at the workplace, it’s an app that has huge potential to change the way we hire, communicate and work with others in business. So how does Crystal work? It’s very simple — the app analyses LinkedIn profiles. Once you download the Crystal for LinkedIn Chrome extension, all you’ll need to do is go to someone’s LinkedIn profile in your browser and click on the add-on. …to the strategies you should use to work with and pitch to him effectively. What’s really scary is that the app is frequently spot-on. When the Vulcan Post team tried it out with our boss’ LinkedIn profile, we agreed that the app’s predictions hit the mark most of the time. Now imagine your coworkers or potential clients using Crystal to find out exactly how they can sweet-talk you or push your buttons — sounds kind of terrifying, doesn’t it? On the flip side, you might also learn ways to deepen your working relationship with your colleagues — something that could definitely improve your job satisfaction. …but also the likely office dynamics between you (or in this case, my boss) and the rest of your colleagues (here, the Vulcan Post team). These predictions can relate to anything from the way your team makes decisions, to how tactful you’ll need to be when giving criticism. Crystal has so many amazing features to help you communicate better at work already, but here’s one more: there’s even a Crystal for Gmail Chrome extension. 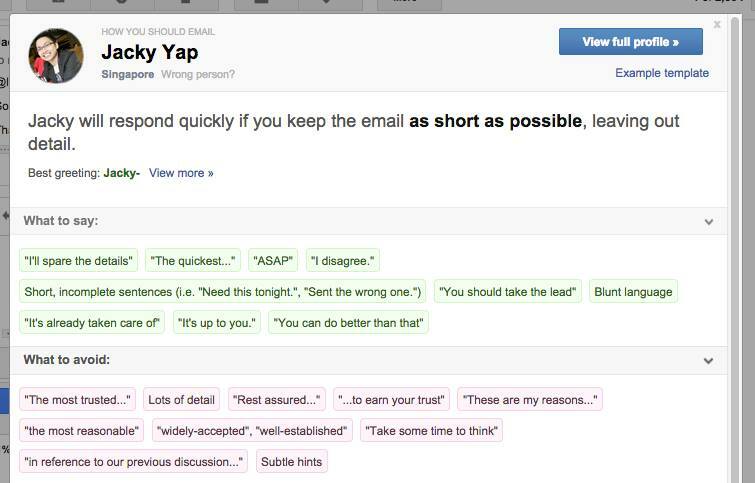 After all, one major way we interact for work is through email, and according to Crystal, the extension will “tell you what to write and what not to in an email, just as if you had the recipient’s friend looking over your shoulder”. The number one tip we got when emailing our perpetually busy boss? “Be brief”. I’m usually cynical about most personality tests out there — much of the time, the results seem to be merely feel-good ways of affirming our secret belief that we’re interesting, special snowflakes. What sets Crystal apart is that the predictions it gives are constructive and precise — there’re plenty of communication tips which you might actually pick up and put into action. We’re not saying that Crystal can imbue you with superhuman powers of communication, but it sure comes pretty close. 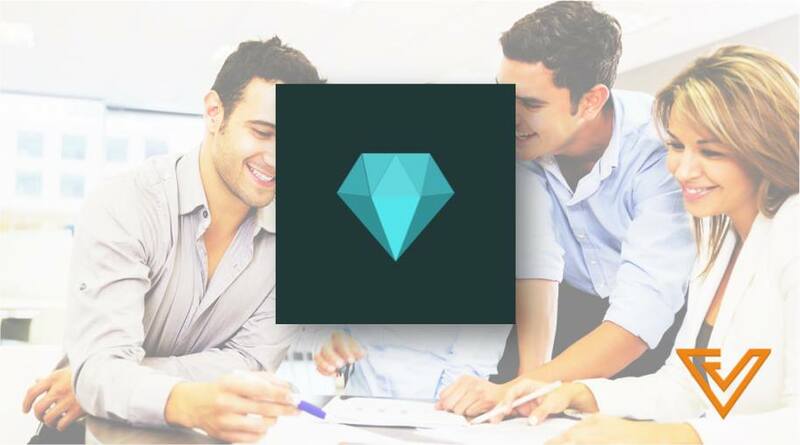 There’re a lot of ways in which Crystal has the potential to transform our office relationships, whether you’re trying to decide who to hire or attempting to build better rapport with your boss. As long as the person you’re stalking finding out more about has an up-to-date LinkedIn profile, the possibilities are endless. The power of knowing what makes your colleagues tick is now in your hands — go ahead and use it to make your worklife better. At the very least, it will give your office a good laugh.